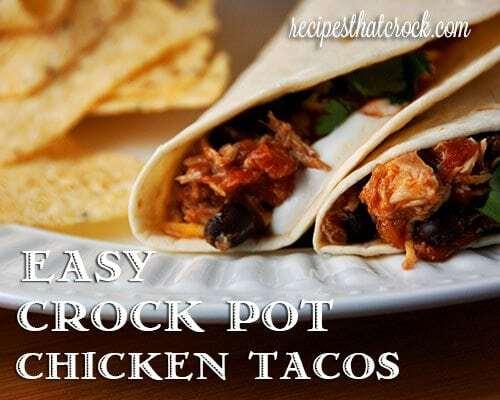 Easy Crock Pot Chicken Tacos - Recipes That Crock! Feel like chicken tonight? 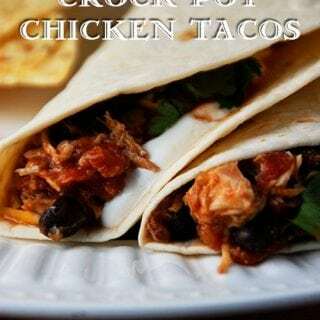 These Easy Crock Pot Chicken Tacos from Gooseberry Patch’s Slow Cooking All Year ‘Round are absolutely delicious and super quick to throw together! Mommy score! I decided to be on the ball this week and find two recipes for us that would use up one pack of our super cheap chicken and have our meals done for the week! Why I don’t do this every week is beyond me! Maybe I’ll get better as time goes by. I have been trying to be a LITTLE bit more adventurous with what I will eat. Trying new foods that use ingredients I don’t usually like on their own is scary for me, but this recipe for Easy Crock Pot Chicken Tacos proves that it is definitely worth the risk to try something new! Momma loved them. Daddy loved them (but let’s be honest, I can’t remember the last time I made something…especially from a Gooseberry Patch cookbook that Daddy didn’t like). And Baby Ryder loved them! 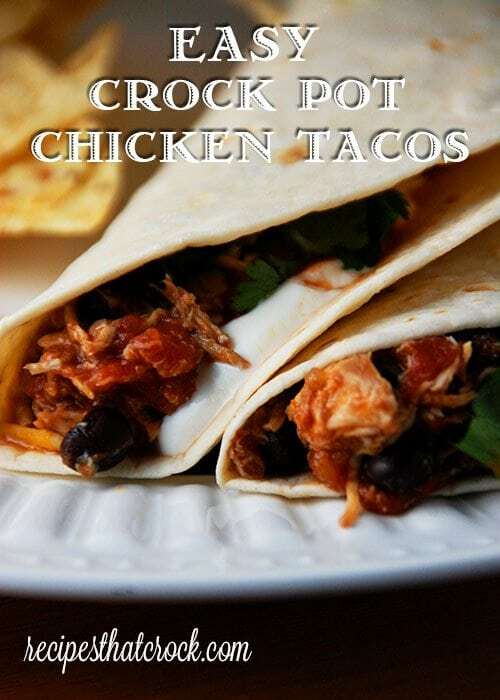 These Easy Crock Pot Chicken Tacos were a huge hit all the way around! We have trouble getting Ryder to eat any kind of meat. I am afraid he is a bit of a texture eater like his Momma (praise God he loves carrots!) and doesn’t quite know what to think of the texture of meat yet. So when I was shredding the chicken and he said, “Mmmm! Eat that! Eat that!” I was a bit skeptical that he would actually eat it. I started off with just a little amount in his bowl, and he devoured it! He held up his bowl and said, “More please!” So of course, we obliged. Daddy filled his bowl up and he ate it all! This recipe was seriously quick and easy and my little man gobbled it right up! This is going on the “go to recipe” list for sure! Place your chicken in your crock pot. Sprinkle your taco seasoning over your chicken. Pour in your tomatoes and chilies (juices and all). Rinse and drain your beans, then add them to your crock pot. Shred your chicken and stir everything together. Serve it up on tortilla shells and enjoy! Yummo!